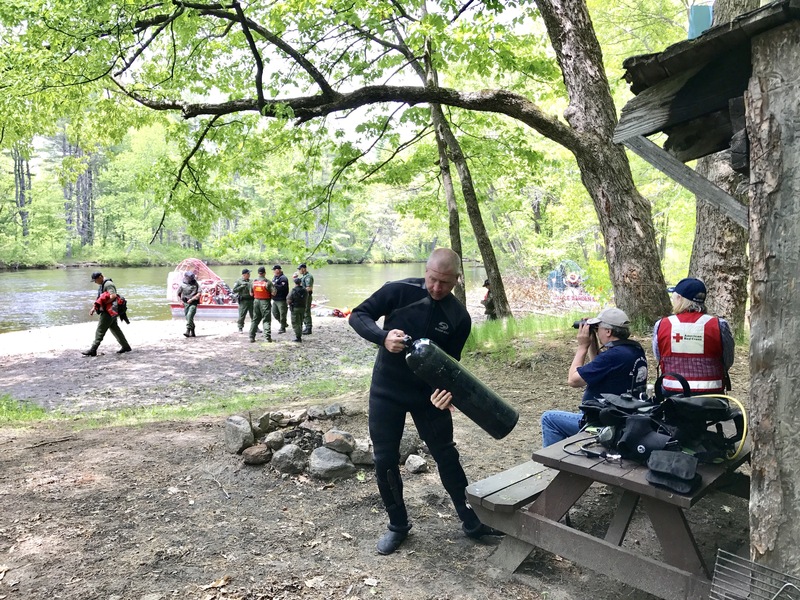 Game Warden Robert Johansen returns from diving on the Saco River during a search for Jennifer Bousquet on Sunday. 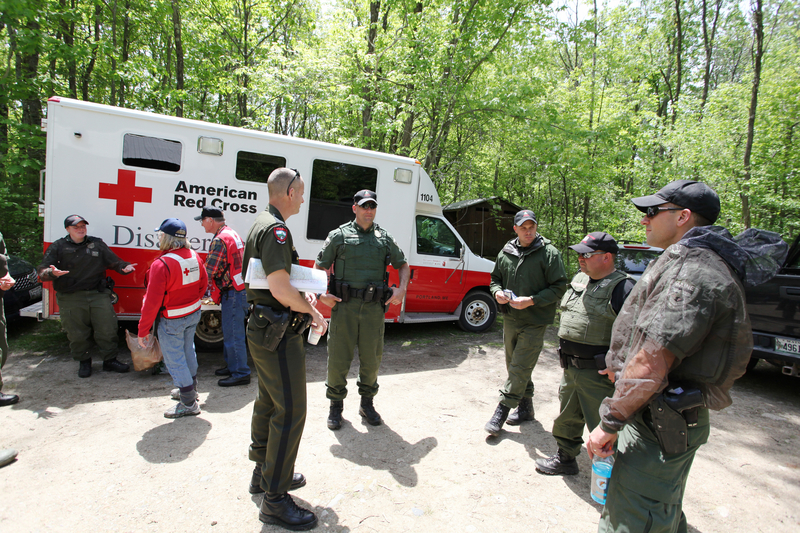 Game wardens and members of the American Red Cross gather at a staging area at Walker's Falls Campground. 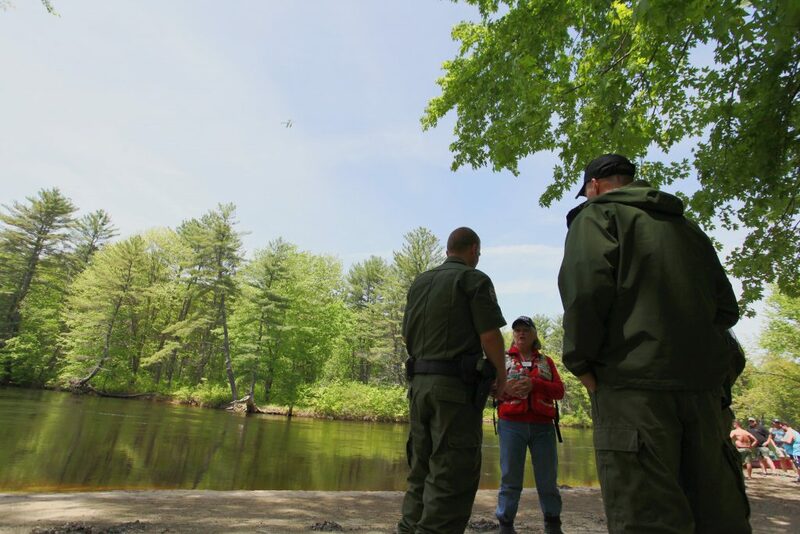 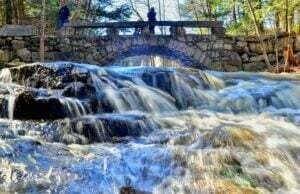 Yvette Lizotte of the American Red Cross talks with game wardens at the Walker's Falls Campground during a search for a missing woman on the Saco River in Fryeburg on Sunday.